Las Vegas is one of the most traffic-congested cities in the world. Thousands of pedestrians, taxis, bicycles, and tour buses share the streets of Las Vegas, so traffic mishaps of all kinds happen every day. It’s no surprise that occasionally a driver in Las Vegas might be accused of hit-and-run. People usually flee the scene of auto accidents for one of two reasons; because they’re afraid of the consequences they face as a result of the accident, or because they simply didn’t notice that an accident took place. If they don’t notice the accident, the fact that a driver was not aware that an accident was being fled is not a defense to a hit and run. Regardless of the situation, it is vital that you speak to an experienced Las Vegas hit and run attorney if you are facing hit and run charges in Las Vegas. If anyone ever suspects that they may have struck a person or another person’s property while behind the wheel, it is much better to turn around and go back to the scene to make sure than to continue driving away as if nothing happened. As soon as a person makes the decision to keep driving past an accident which he or she was involved in, the person has broken the law and faces up to 15 years behind bars, depending on the circumstances of the case. Even if the accident which a person flees was not his or her fault, the fact that the individual fled the scene at all is enough to justify hit and run charges in Nevada. Nevada law creates a duty to report, a duty to render reasonable aid to injured victims, and a duty to give information to motorists involved, which is why any driver who flees the scene of a traffic accident faces such stiff penalties. Nevada law creates a duty and makes it a crime not to report an accident which involves property damage of at least $750, bodily injury, or death. The law also creates a duty to render reasonable aid to anyone injured in an accident – a duty that, in most cases, can be fulfilled by a simple call to emergency responders. The final duty that the law creates for drivers involved in traffic accidents is a duty to give information, which is to trade at least their name, address, and vehicle registration number with any and all other drivers involved in the accident and with any owners of property that was damaged. Although not necessary to voluntarily produce a driver’s license, a license must be presented if another driver or the owner of property so requests. This same information must be provided to any law enforcement officer investigating the crash. If the officer asks for your license during an accident investigation, you must surrender it. What if you should collide with an unattended vehicle or damage some other kind of unattended property? Nevada law requires you to make a genuine effort to find the owner; failing this, you must leave a written note with your name and address. You also have to call the local police; if you’re injured and you can’t, that duty falls to any uninjured passenger in your vehicle. 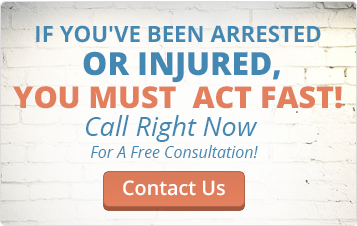 If you are charged with hit-and-run, consult right away with an experienced Nevada hit-and-run attorney. A good hit-and-run lawyer will advise you what to expect in court and how to obtain the best possible outcome in your case. A conviction for even a misdemeanor can mean fines, jail, and serious long-term consequences. If you or a loved one is charged with hit-and-run in Nevada, it’s imperative to obtain the services of an experienced Nevada hit-and-run attorney immediately. If the accident involved only property damage, then the hit and run driver would face up to 180 days behind bars, and/or a fine up to $1,000, and six points added to the person’s license and driving record. Rack up too many points and drivers risk the temporary or permanent loss of driving privileges. If the accident resulted in a bodily injury or death, and even if the accident wasn’t the person’s fault, the person who flees the scene of such an accident faces up to 15 years behind bars, a fine up to $5,000, and the suspension or revocation of driving privileges. In more complex hit-and-run cases where there are injuries or fatalities involved, the charges and penalties may become even more severe. The person accused of leaving the scene of an accident may be charged with vehicular homicide or reckless driving on top of the hit-and-run charge. In these cases where there are fatalities or injuries, the person accused of leaving the scene of the accident may also face a civil lawsuit. Regardless of the outcome of the criminal case, the victim of the hit-and-run or the victim’s family may sue the defendant in civil court to recover compensation. This compensation could be substantial depending on the type of injury that the victim sustained. Compensation can cover loss of wages, medical expenses, pain and suffering and punitive damages in some cases. No matter the reasons behind why the person decided to flee the scene of an accident, after charges of hit and run have been filed in Nevada, there is little that the suspect can do but face the charges head on. To do so, suspects are encouraged to partner with an experienced Las Vegas hit and run attorney, like one on staff at the Fletcher Firm. Because the penalties are so severe, it’s essential that you hire an experienced attorney instead of a public defender. The legal team behind the Fletcher Firm is experienced in a variety of legal areas including hit and run defense. The firm’s attorneys are ready and willing to represent the best interests of the hit and run suspect and to ensure that his or her rights remain preserved from the beginning of the legal process to the end.